Woolworths Group has announced it will close the BIG W Distribution Centre in Warwick in 2023, following a national review of its operations. But the future of the BIG W retail outlet in Warwick’s Rose City Shoppingworld remains unclear, with a company spokesman telling the Free Times today, Monday 1 April, that up to 30 BIG W stores would likely close across Australia over the next three years. The Woolworths spokesman would not be drawn on specific stores to close but did say the Warwick BIG W retail outlet is “a profitable store”. He said the decision to close the Warwick BIG W Distribution Centre – which currently employs 183 staff – had “not been taken lightly”, with the current lease due to end in 2023. Big W’s Monarto Distribution Centre in South Australia will close in 2021. “We understand the impact it will have on our teams and the Warwick community,” the spokesman said of the DC closure. 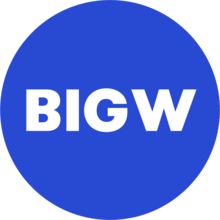 “It is a difficult but necessary step that will position our distribution centre network closer to more of our stores and help underpin the viability of BIG W into the future. “We will work closely with our team members to explore redeployment opportunities across our group wherever possible. The retail chain has been struggling financially in recent years, reportedly losing $110 million last financial year and $8 million in the first half of the current 2019-2020 financial year. Woolworths has formally advised the Australian Stock Exchange (ASX) of its BIG W decisions and also the sale of its fuel business to EG Group, with proceeds from that sale to be returned to shareholders via a $1.7 billion off-market buy-back.